Jeffrey L. Orridge, the Canadian Football League’s 13th. and first African Canadian Commissioner, will be on hand to receive the African Canadian Achievement Award for Excellence in Sports, on Saturday, February 25. Photo courtesy of the CFL. TORONTO, Ontario, February 25, 2017 — Jeffrey L. Orridge, the 13th. Commissioner of the Canadian Football League (CFL), was recognised and honoured by the African Canadian community, during Black History Month. The Commissioner was presented with one the community’s most prestigious tributes — the African Canadian Achievement Award of Excellence (ACAA) — for his “trailblazing accomplishments in the sports media/management arena, and particularly, your milestone as the first Black-Canadian to hold the office of Commissioner of the Canadian Football League”. “We are delighted to recognise and pay tribute to Mr. Jeffrey L. Orridge, the 13th CFL Commissioner, during Black History Month, as one of our contemporary ‘Black history-makers’, this year,” said Michael Van Cooten, Founder, Chair and Chief Executive Officer (CEO) of the ACAA. “This is especially important for our community, in this, the year of the 150th birthday of Canada, because Mr. Orridge’s many noteworthy accomplishments, in a little over a year since he assumed his current position, and in his previous executive roles, exemplifies the significant contributions made by African Canadians to the development of our nation, going all the way back to Mathieu De Costa, in the early 17th century. “Our community is looking forward to honouring this distinguished gentleman, who is the first person of African ancestry to achieve the lofty position of CFL Commissioner,” he added. 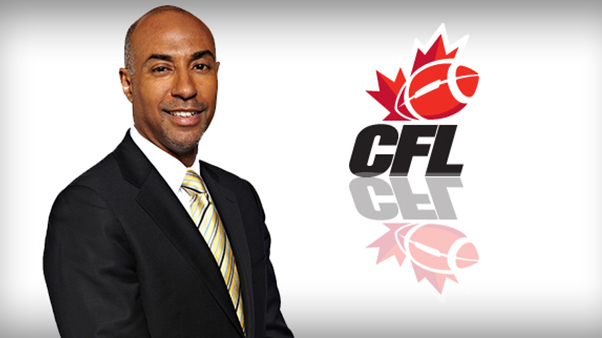 Orridge is repositioning the CFL for the future with a new and progressive approach. Photo courtesy of the CFL. Past recipients for the ACAA Excellence in Sports award include: Raymond Gray Lewis, track and field athlete and first Canada-born Black Olympic medalist; baseball hall-of-fame pitcher, Ferguson Jenkins; Toronto Argonauts former coach and Chair, Michael “Pinball” Clemons; world and Olympic sprint champion, Donovan Bailey; former Blue Jays Manager, Cito Gaston; CFL Defensive lineman and Grey Cup ring winner, Bruce Smith; former Canadian Heavyweight Boxing Champion, Donovan “Razor” Ruddock; multi-award-winning jockey champion, Patrick Husbands; Curtis Hibbert, 5-time gold medal winner and first Canadian and first person of colour to win World Championship medals in gymnastics; Charmaine Crooks, 400m and 800m runner, five-time Olympian and Olympic Silver Medalist; Milton “Milt” Ottey, former number one ranked high jumper in the world and 23-time national indoor and outdoor champion; national field hockey team member, Sandra Levy, a two-time Olympian, who competed at Seoul 1988 and Barcelona 1992; Austin Ward, former President of the Ontario Cricket Association; five-time national wrestling Champion, Nicholas Ugoalah; Dr. Ivan Joseph, Director of Athletics at Ryerson University; Ohenewa Akuffo, Canadian Olympian and World Wrestling Medalist; Angela James, multi-hockey Hall-of-Famer; and Charles “Chuck” Ealey, trailblazing African Canadian CFL quarterback. 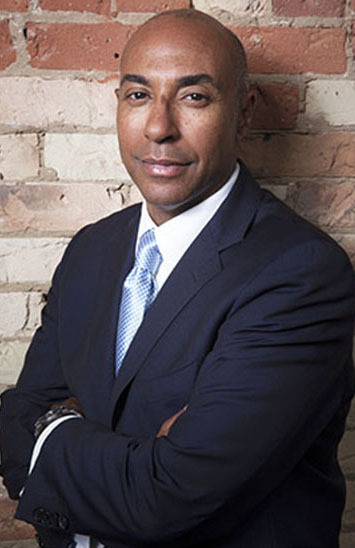 “A leading executive with a lifelong passion for sports and more than 20 years of experience in building major brands and businesses, Orridge is repositioning the CFL for the future with a new and progressive approach that is designed to further engage the CFL’s avid supporters while attracting a new generation of fans,” notes the CFL website. Before being appointed to his current position, Orridge was Executive Director at Canadian Broadcasting Corporation (CBC) Sports, where he was responsible for acquisition, management, and revenue optimization of sports properties. As the CBC Sports’ chief negotiator, he was credited for bringing the broadcasting rights to the 2014 and 2016 Olympic Games back to CBC/Radio-Canada, as well as the rights to the 2015 Pan American Games. The New York City-born, naturalised Canadian executive’s illustrious management career, included appointments such as: Head of Business and Legal Affairs for USA Basketball; Director of Global Sports Marketing for Reebok International; Director of Sports Licensing for Warner Bros. Consumer Products; Senior Vice President and General Manager for Momentum Worldwide; Chief Marketing Officer for OneNetNow; Vice President for Mattel; and Chief Operating Officer/Head of Global Business Development for Right to Play. Orridge was one of 15 high-achieving, distinguished Black Canadians who were honoured and celebrated as “contemporary Black history-makers”, at the ACAA’s 33rd. annual gala ceremony — now recognised as the African Canadian community’s most prestigious event during Black History Month. The ACAA was established, in June 1985, and has evolved into one of the Black community’s most distinguished and prestigious honours. It has recognised and paid tribute to over 400 high-achieving, accomplished African Canadians, including: Canadian jazz icon, Oscar Peterson; Canada’s first Black federal Cabinet Minister, the late Hon. Lincoln Alexander; former federal chief justice, the late Julius Isaac; Esteemed poet, George Elliott Clarke; Canada’s first Black federal female minister and Ontario’s first Fairness Commissioner, Hon. Dr. Jean Augustine; Multiple-award-winning author, Austin Clarke; Hon. Mary-Anne Chambers, former Scotiabank Senior Vice-president and Ontario Cabinet Minister; Hon. Alvin Curling, former Speaker of the Ontario Legislature; award-winning actress and founder of the Reel World Film Festival, Tonya Lee Williams; CBC Metro Morning’s Matt Galloway; opera super star, Measha Brueggergosman; Arnold Auguste, Publisher and Editor of Share newspaper; Justice Michael H. Tulloch, judge, Ontario Court of Appeal; Cameron Bailey, Artistic Director of the Toronto International Film Festival (TIFF); and Toronto Police Chief, Mark Saunders, among many. Today, it is recognised as the African Canadian community’s most prestigious event, during Black History Month. The gala — which is being sponsored by RBC, Nursing and Homemakers Inc. (NHI), Pride News Magazine, Formula Honda, Pastor Fredrica Walters and Gwyneth Matthews-Chapman — was held on Saturday, February 25 at the Jane Mallett Theatre, inside the St. Lawrence Centre for the Arts, in Downtown Toronto.